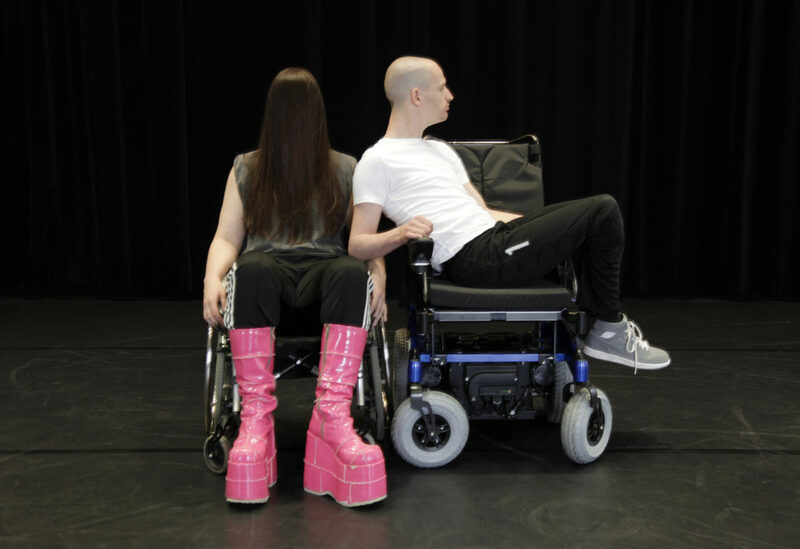 Doris Uhlich invited the dancer/choreographer Michael Turinsky to work with her in exploring the body, its physicality, energy, and ecstasy. What are the movements that act like batteries for Michael Turinsky to recharge his body? Where does the body depart to while its batteries keep filling up? 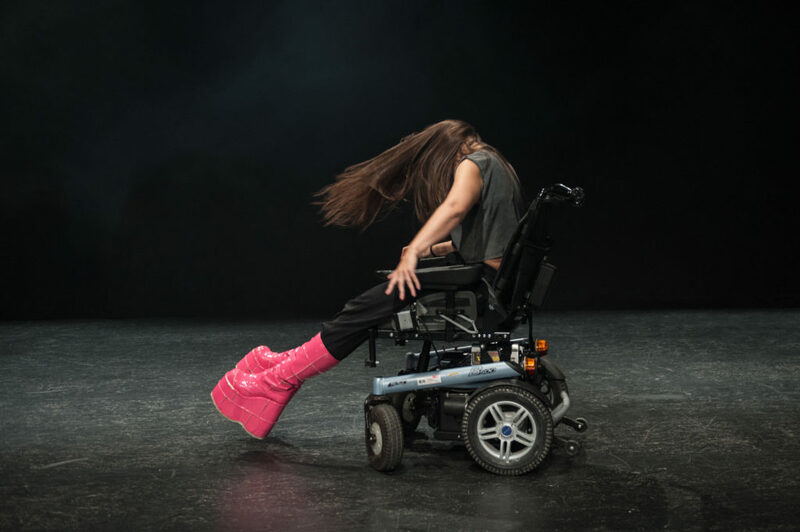 In this collaboration between choreographer, dancer, and performance artist Doris Uhlich and dancer, choreographer, and philosopher Michael Turinsky, the interplay between human and machine, ecstasy and form, charge and discharge comes alive on stage. 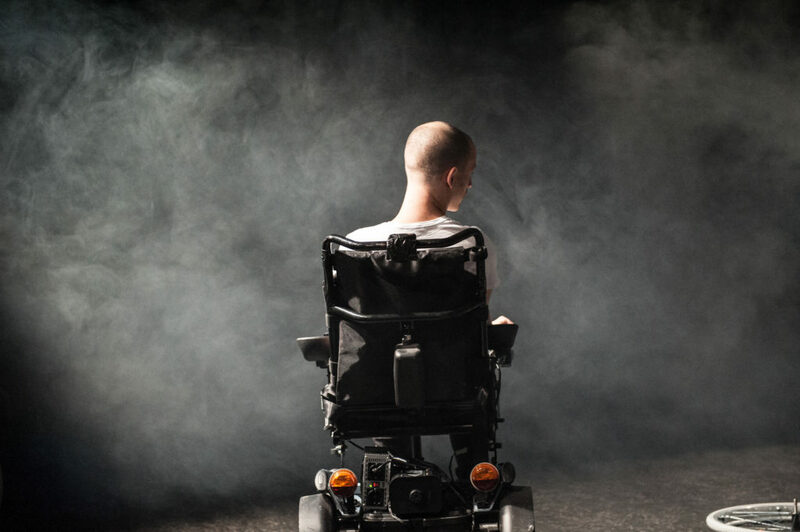 In sampling the sounds of her partner's electric wheelchair, and amplifying and translating them into thumping techno beats, Uhlich generates an energy that seizes Turnisky and throws him further into dance. Energy from humans and machines are transferred and transformed in a perpetual dance.